Why is Ray Catena INFINITI of Bridgewater the Go-To Spot for Drivers Seeking a New or Used INFINITI in the Bridgewater, Hillsborough, and Franklin Township areas? 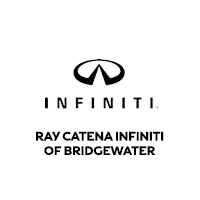 Ray Catena INFINITI of Bridgewater isn’t only a place for those in the market for a new INFINITI car. We’re also the go-to spot for those already behind the wheel. Customers find our car service and maintenance center, also located in Bridgewater, NJ, both convenient and competent. It doesn’t stop there– Ray Catena INFINITI of Bridgewater also hosts an array of services to personalize or enhance your INFINITI driving experience. Just ask our onsite department for auto parts in Bridgewater what we mean. Still not clear about why so many trust Ray Catena INFINITI of Bridgewater for all of their INFINITI needs? Visit our retailer at 1350 Route 22 East, Bridgewater, NJ and find out for yourself!